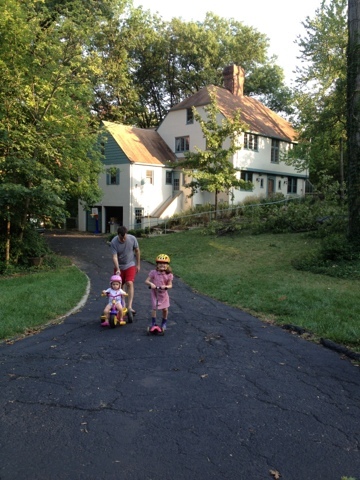 Here's a quick pic of the girls riding their wheels up and down our new (long) driveway. They were sending me off as I left for a parent meeting at Josie's school. 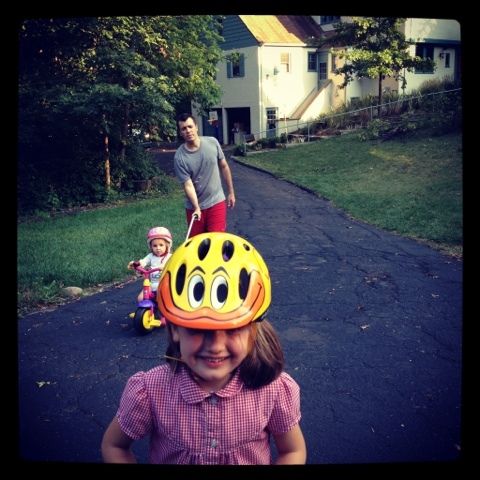 Bea suddenly adores her helmet (saying "hat, hat, hat" and patting her head) and Josie is nearing successful achievement of a land-speed record on her scooter. Just one of the many many things about our new house that makes us all smile!